Has there ever been a more perfect mystery than The Westing Game? I'll answer that for you: No. 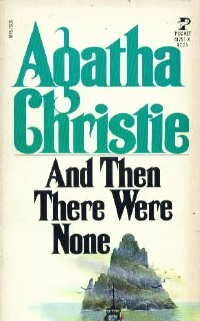 I've read it so many times over the years and I still get caught up in trying to discover new clues and new red herrings. The book has plenty of each. As well as a dead body! A will! A fortune! Explosions! And many, many characters who are not what they seem. Sunset Towers may be a picturesque place to live, but it's also brimming with lies and deception. 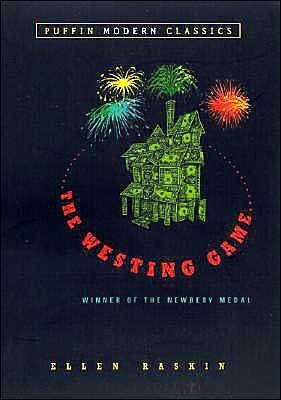 If you've never read this book, I dare you to play THE WESTING GAME. 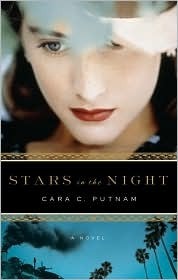 As someone who doesn't read many mysteries, and tends to figure them out really fast, Stars in the Night was a happy surprise. It's a historical mystery, about old Hollywood during WWII - a tantalizing mix - and I was actually able to read through it with the characters, rather than figuring it all out early on. The characters are amazing, and what really drew me in, though the historical aspect is a happy perk. I need more mysteries like this, I think. I’m looking forward to seeing everyone else’s mystery recommendations. When I was a kid, I read a ton of mysteries, but after I discovered science fiction and fantasy—and young adult fiction—mysteries practically disappeared from my radar. Now I read lots of books that have elements of mystery, but primarily exist within other genres. However, I still adore Sir Arthur Conan Doyle’s SherlockHolmes stories and revisit them frequently, so I’m going to cheat a little this week; my recommendation for best mystery book ever is The Complete Sherlock Holmes, which contains all four novels and fifty-six stories in canon. I do think you should read them all, starting with the first book, A Study in Scarlet, which introduces Holmes and Dr. John Watson to each other as well as to readers. But if you’re looking for a quick taste of the great consulting detective before committing, some of my favorite stories include “The Adventure of the Red-Headed League”, “The Adventure of the Speckled Band”, “The Adventure of the Crooked Man”, and “The Adventure of the Dancing Men”. Fans of the Twilight series might be interested in checking out “The Adventure of the Sussex Vampire”. 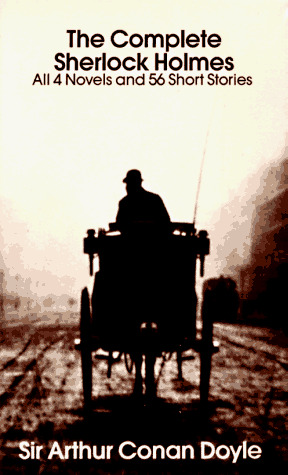 All of these stories can be found online and in e-book form for free or cheap, so why don’t you drop by Baker Street and let me know what you think? Because it was a light week for contributors, I decided to give you three of my favorite mystery picks. Now let me preface my picks by saying- you may not find these books in the mystery section- but they are oozing pure mystery! First, there were ten a curious assortment of strangers summoned as weekend guests to a private island off the coast of Devon. Their host, an eccentric millionaire unknown to all of them, is nowhere to be found. All that the guests have in common is a wicked past they're unwilling to reveal and a secret that will seal their fate. For each has been marked for murder. One by one they fall prey. Before the weekend is out, there will be none. And only the dead are above suspicion. I fell in love with this book as a teen. The book was everything I loved about a good mystery with- creepy, on the edge of your seat. However, this book lacked intense and gruesome violence- it simply didn't need it. I spent this entire book going, "HOLY COW WHAT IS GOING ON?" This is a book that you will not be able to put down and you will have to read in one sitting. Creepy, mysterious, and a little scary- this is an excellent mystery that should be on your TBR list. I know I know, you are saying, "but you already picked this for another week!" Well *blows a raspberry*. This is one of the creepiest mysteries I have ever read. Literally, it gave me nightmares and I had to hide the book under my bed so I could sleep (Yes I am almost 29, ha ha!) 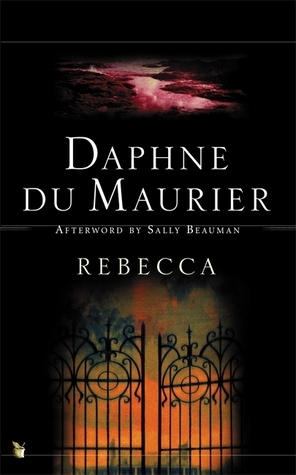 This book is a creepy puzzle that winds and twists its way through two centuries, thoroughly confusing the reader until everything ties together and comes to a complete ending. Why are you still here? Go pre-order this book! So do you like our picks for best mystery? Check out next week's topic- Best Love Story! 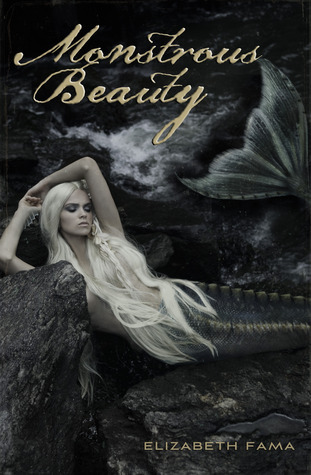 PS- Wanna be part of Best Book Ever? Leave a comment below! PPS- Have a great topic you want us to cover? Leave a comment below too!